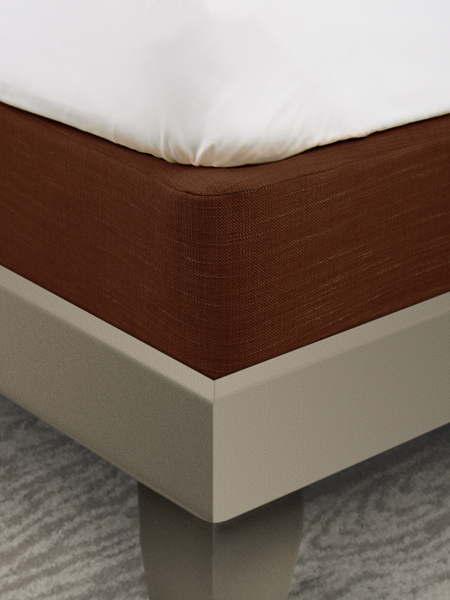 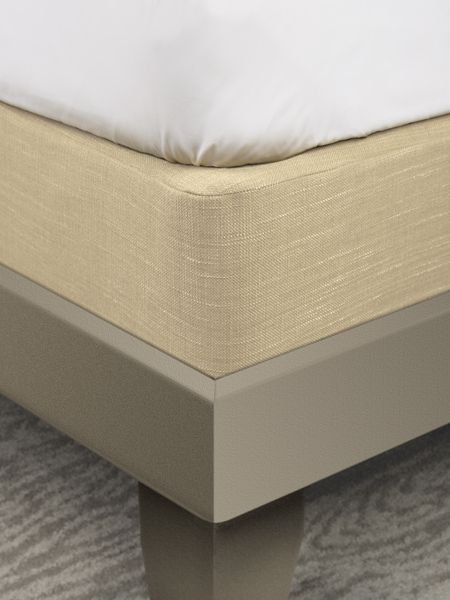 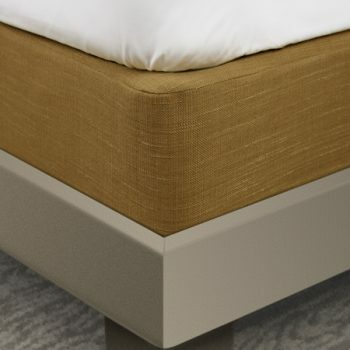 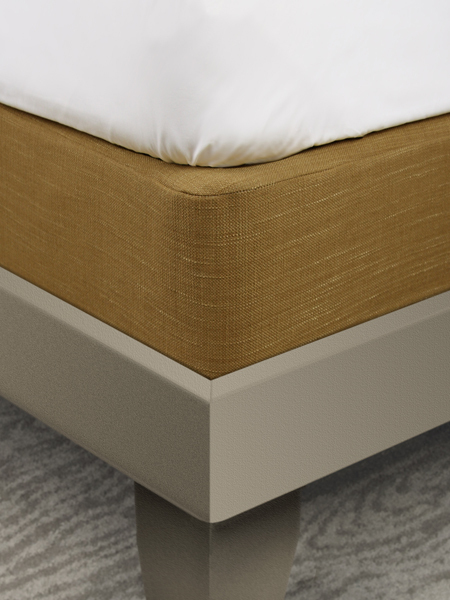 Our classic Box Spring Cover with 3” decking strip give you clean lines for a modern look. 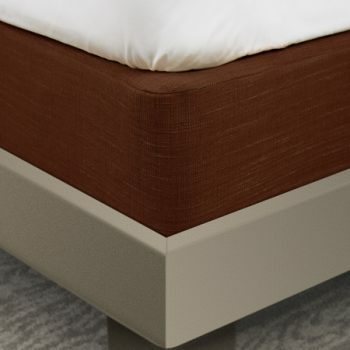 Made of a 100% polyester fabric, the cover fabric attaches to four sides of the deck with elastic along the bottom edge, to pull the cover underneath the box spring. 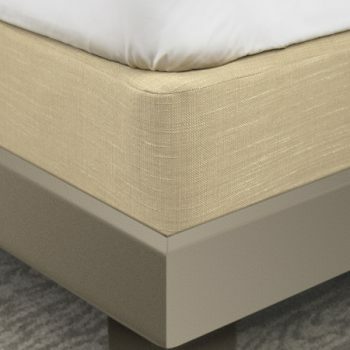 Colors: Chocolate, Gold, Mink, Praline and Russet. 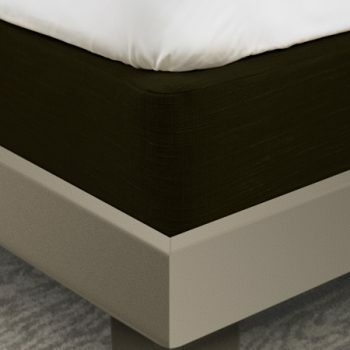 © JDT Worldwide. All rights reserved.